It seems almost inevitable. At some point during your journalism career you will receive information from a source that wants to remain anonymous. Sometimes the information provided anonymously is of critical importance and there seems to be no other way to get it. Sometimes the safety of the source is in jeopardy if they are tied to the credible information they’re releasing. The use of anonymous sources always has been an ethical debate in our industry. The recent publication of an anonymous Op-Ed in The New York Times and the release of Bob Woodward’s book, Fear: Trump in the White House, have brought this issue to the forefront. 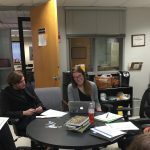 Joe Hight, a long-time journalist and an Oklahoma bookstore owner, joined a recent #EditorTherapy to chat with student journalists about the ethics involved in determining whether to use anonymous sources. Hight is a former managing editor for The Oklahoman and was editor for The Gazette in Colorado Springs when it won a Pulitzer Prize in 2014. Hight currently serves as an endowed journalism ethics chair at the University of Central Oklahoma in Edmond. Here’s what Joe had to say about the use of anonymous sources. Note: Remember that Frank was writing in Tweet form. I’ve compiled his tweets here to make it easier, but don’t go all grammar snob on us. Just take the lessons from the content. Fair? Ok.
Joe: Journalists should be highly cautious in using anonymous sources and understand that your credibility is on the line every time you use one. That’s not saying you should never use anonymous sources, but understand potential issues when you do. Use them rarely. Q2: What ethical questions arise with the use of anonymous sources? Joe: Is the news organization making up information that came from an anonymous source? Is the source trustworthy? Does the source face harm? What are the risks to credibility in using an anonymous source? Q3: What are some examples of the exceptions that occur when anonymous sources should be used or at least considered? Joe: When the information is critical to your audience. When the unnamed sources are believed to be truthful, reliable and know what they are addressing. When the source may face harm if the identity is revealed. When you have exhausted all other possibilities to get information on the record. Q4: What discussions should journalists have before deciding to use anonymous sources? Joe: First and foremost, a discussion on the source’s own credibility and the ramifications of using an anonymous source. Understand the usage of any anonymous source can undermine your own credibility. There must be good reasons for using one. Q5: What can journalists do to help protect the credibility of their news outlets when using anonymous sources? Have a conversation with a supervisor before committing to one. Ensure you are following your ethical guidelines in using one. Ask questions: Is there any other way to verify the information? Can the information be verified by another source? Determine the reasoning the source wants to be anonymous. Q6: What can journalists do to address the criticism that information is just being made up when anonymous sources are used? Joe: Journalists should be willing to explain the reasoning for using anonymous sources. Was there a potential harm if the source was revealed? Were you protecting the source’s privacy, such as a child or crime victim? Was the information not available otherwise? Always be willing to explain, even to critics. Q7: In your opinion, should the New York Times have run the anonymous Op-Ed from the Trump White House insider? Why or why not? Joe: Opinion departments usually are separate from the newsroom. I think The Times Opinion Department’s decision to run the anonymous letter put the newsroom in a difficult position. And I can understand why the president’s supporters are upset. But I don’t have all of the information about who wrote it, etc. The Times said it felt the anonymous letter writer offered an important perspective. Q8: What do you think of use of anonymous sourcing in Bob Woodward’s new book, Fear: Trump in the White House? Joe: I have great respect for Bob Woodward and his journalistic work. If he felt the usage of anonymous sources was needed to provide important information about the president and an institution usually closed to the public, then I am not going to doubt it. His reputation for truth is impeccable. Q9: Do you think anonymous sources will become more of a norm in journalism from here? Why or why not? Joe: I hope they never become the norm. You can’t just use anonymous sources. You have to go through an ethical checklist of why you’re wanting to use them. And whether they are appropriate or not. Your credibility is on the line. The recent examples shouldn’t affect that. 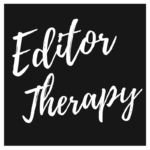 I absolutely love learning from #EditorTherapy guests, and I learned so much from Joe and during this fabulous discussion. Thank you again, Joe, for being our guest. 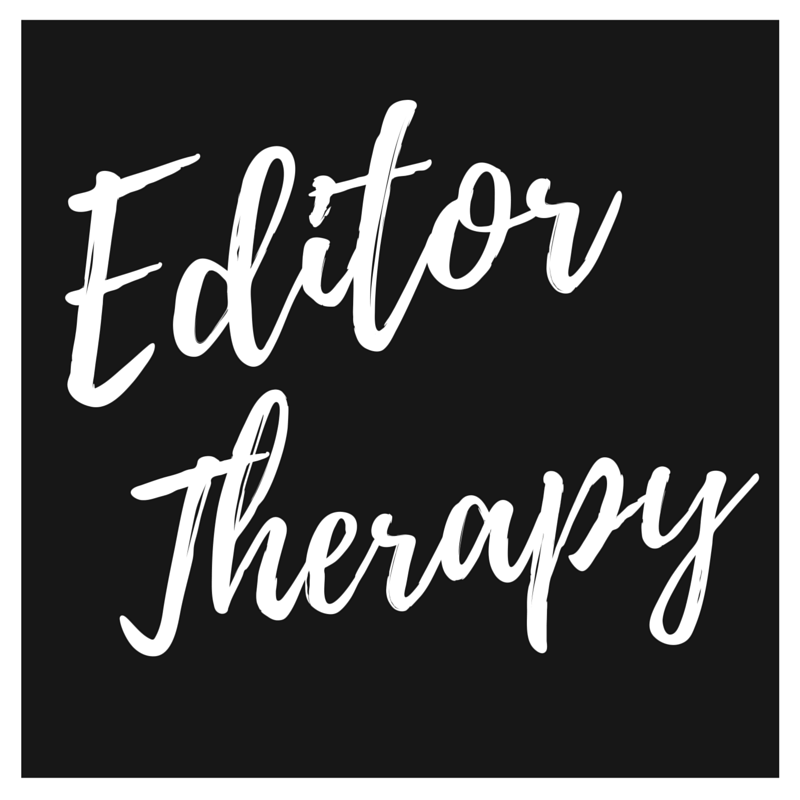 If you’d like to know more about the chat in general, check out #EditorTherapy. The chat is at 8 p.m. CST Wednesdays.